I am about as carnivorous as a person can get. I love it all-nose to tail. Loving meat does not mean that I don’t like vegetables. I crave greens just as much as a juicy steak. 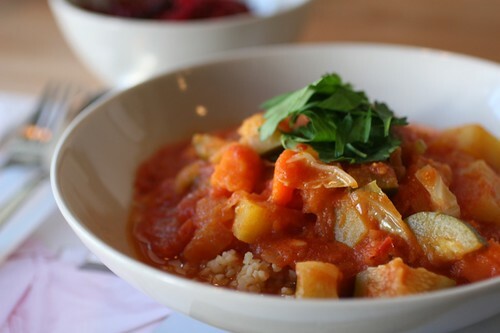 When Cliff Bostock wrote about Dynamic Dish, I was intrigued—especially by the promise of a tagine made with organic veggies. I went for lunch yesterday to counteract the effects of the Korean fried chicken I had the day before. Dynamic Dish is located on the small strip of Edgewood near Café 458. I snagged a primo spot in front of the restaurant using my stellar parallel parking skills that I picked up while living in San Francisco. Upon walking into the restaurant, I was amazed how sleek the interior of the restaurant was. I wasn’t expecting it. 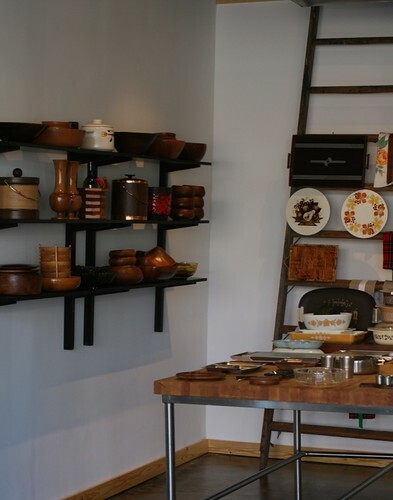 The owner, David Sweeney, has impeccable taste and all the eclectic pieces and furnishings somehow fit perfectly together. The persimmons tucked into a wire cubby near the cash register really tickled me. The man has a great eye. The menu (located on the chalkboard behind the counter) is small, but it reflects the pristine organic ingredients he has on hand. I ordered the tagine made with pumpkin, squash, tomatoes and other goodies served on bulgur wheat. 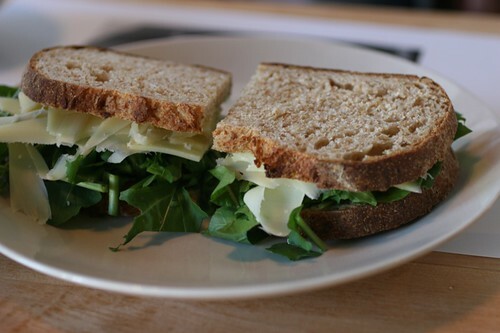 Moon ordered the arugula sandwich with Emmentaler cheese on buttered whole grain bread. We both got the beet salad. The beverage selection is limited, but I did not mind. Sodas would be out of place here. We decided to share a bottle of sparkling water in some tiny glasses that Sweeney brought to table complete with slices of lemon. As we waited for our food, I took in my surroundings and couldn’t help feeling like I was in New York or Europe—not Edgewood. Sweeney arrived with our dishes and the colorful food lit up the table. The ingredients of the tagine were very good and the combination just felt like autumn. My only problem with the dish was the lack of salt—I imagine he is trying to keep the sodium content down and I would rather add salt than eat a very salty dish any day. Moon liked his sandwich and I was so tempted to take a bite, but my moderation mantra kept me from doing so. The beet salad was the undisputed star of the meal. 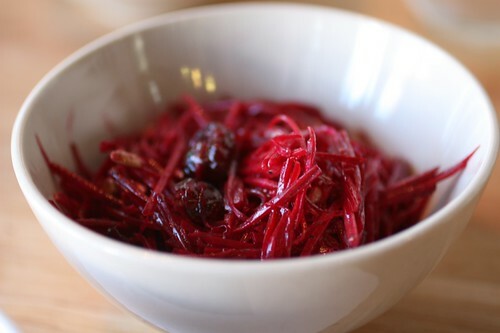 The beets were julienne and tossed with dried cranberries, sunflower seeds, a little maple syrup, vinegar, and something else I cannot remember. Just a stellar combination of flavors that exploded in my mouth. 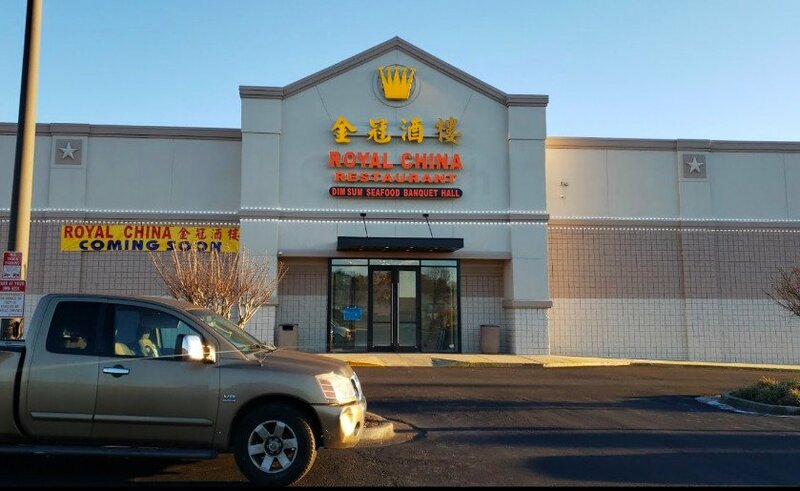 I loved it and would go back for that dish alone. Being the shopaholic that I am, I perused the mix of items for sale. Sweeney has some pretty neat stuff that he has collected from estate sales and other sources. I scored a gorgeous crystal dish on a pedestal for a mere $7.50. 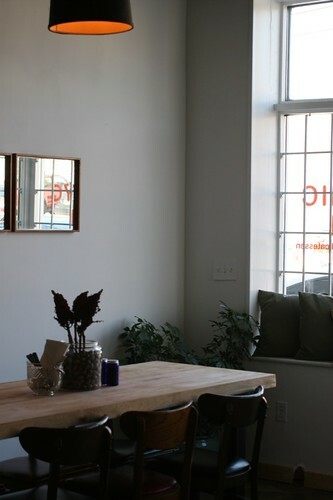 Verdict: An adorable spot with some wholesome food that is well worth the trip. I hope that you guys get out there and support a restaurant with loads of heart that won’t be bad for yours. OMG we just went there for lunch and it was To Die For. Rigatoni with squash,eggplant,pumpkin sseds, leeks and crumbled Parmesan Reggiano. Das all I gots ta SAY! This is an amazing restaurant.